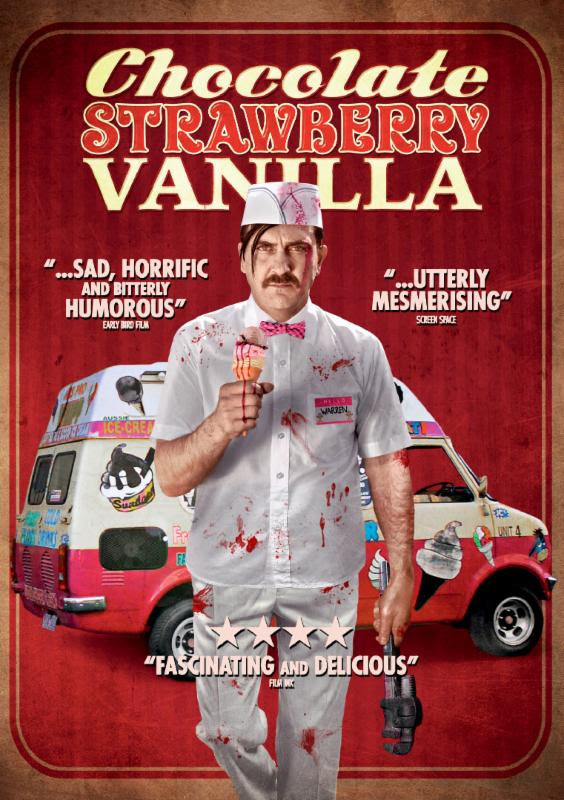 WildEye Releasing imports a new flavour of horror this May with the release of the acclaimed Aussie cult thriller Chocolate Strawberry Vanilla. The latest film from director Stuart Simpson follows an abused and obsessive ice cream truck driver as his life causes him to snap, with terrifying consequences for all. "Napoleon Dynamite by way of Taxi Driver"
Awkward, lonely ice cream truck driver Warren Thompson has two major problems: an unhealthy obsession with a soap opera actress, and a gang of bullies who like to savagely beat him on a regular basis. As Warren slowly slips out of reality and into a psychotic fantasy world to escape his miserable life, a darker, deadlier Warren emerges to deal with his problems and put an end to his tormentors.